Summer time is most reminiscent of the long vacations during childhood. Time for all the goodies and pure unadulterated fun. Our summer holidays were partly spent at our nani’s house (maternal grand mom). Not very far in a small town where my folks from the maternal side of the family lived very luxuriously and lavishly. This was the time when all the siblings and their families gathered. There were indoor and outdoor games, competitions, chaos, fights, love, laughter, gossip, storytelling sessions, never-ending conversations and debates – integral part of Indian culture. Our nani’s home was close to the orchards of mangoes, tamarind, jackfruits, palm trees, rose apples and black plums and many other produce. We enjoyed the luxury of farm to table delicacies. The most delicious meals were cooked by all the women in the family with the most important ingredient… love! The most favorite indulgence was mango. Along with yummy palm fruits, jack fruits, love apples and black plums. Somehow the fun was to pluck them from the tree and devour it and avoid the sophisticated cut fruit. There was a divine pleasure in getting hammered for this unlimited indulgence. The other activity and the most important one was storage. In the summers we store rice, wheat, lentils for the entire year. And this is also the time to make varieties of delicious jams and pickles and many other savories like papads, dried potatoes and tapioca chips. This was a community game and almost a training camp! All of us would help my nani in the art of making the most delectable mixers and dry snacks. Freedom for shaved ice candies adorned with amazing flavors of colorful Sherbet. And hand churned ice creams. The other summer coolants were coconut water in the morning, buttermilk in afternoon and lime water with mint all throughout the day. Today this indulgence is one of celebrity dietitian’s top summer tip! In the Indian culture, summer holidays is the time to explore foothills of the mighty Himalayas. As a pilgrimage and also to get away from the heat of the city. The trip would either be to a revered temple or exploration in to the jungles to learn the ways of the nature. This is an integral part of the Indian traditional upbringing. Having explored many such places throughout our childhood, most of them are quite alive in our memories that leaves us misty eyed sometimes. Nani days are over but her legacy lives on and we ensure that the time is well spent to some of the beautiful places that have retained flavors to relive the magic of the past and savor the beauty of the nature and stay rooted in our traditions. If you want to take a glimpse in to how good our summer breaks were, without hesitation book your airline seat and fly down to India! A bunch of passionate young folks made use of their ancestral land, made beautiful boutique properties and opened their doors to share the similar experiences for the travelers to enjoy the glory of Indian Summer! Ananda literally means happiness. One of the best and exotic wellness resort, tucked away near Rishikesh, a beautiful town near the Himalayan foothills where Ganga flows. And very popular for various Yoga retreats that happen here. Many revered yogis and mystics have their ashrams here as there is a reverence mentioned in our vedic texts.. Making it important for the Hindu pilgrims. Rishikesh got the recognition on the world map when the Beatles visited in 1968. 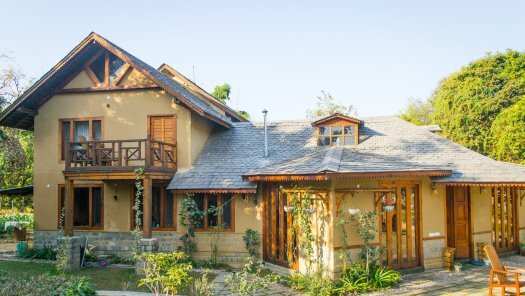 Located on Maharajah’s 100 acres estate Ananda’s doors are open for adults over 14 years only. Offering 78 luxurious rooms, suites & villas with options of therapies just made for you as per the prescription of the in house qualified doctor. Meals are exotic as well as healthy – ingredients from farm to table. Excursions, nature walks and picnics all done with style and sophistication. A holiday hard to get over. Ananda is about 40 minutes away from Dehradun airport that has many flights from Delhi and a private helipad for charters. This lodge is labor of love! Located in the sprawling 523 acres of tea estate and the most scenic and picturesque Kangra valley. 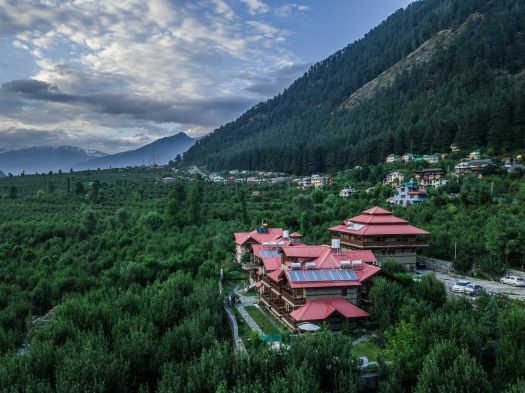 It is just an hour away from Dharamsala, where the Dalai Lama lives. Its the fifth generation of people who have now opened this estate for visitors with only 8 luxury rooms keeping it exclusive. Implementing the architecture of the region using local and natural materials without chemicals and local craftsmen and no compromising with luxury. The place offers galore of experiences. You could start with a visit to the tea estate where you shall learn the art of tea making from its culmination till it reaches the cup! There are many other exotic activities and excursions you could indulge in from cycling, trekking, exploring temples, birdwatching and stargazing. Well this list is never ending. You could chose the excursions as per your wish including candle lit dinners and bonfire where all the truths are revealed. Wah is about 1 hour from Dharamsala airport that has daily flights from Delhi. Best time: All the time. Winters are extremely chilly but that has its own charm. The name says it all. Solitude for the Soul! If you are looking for some time alone and wish to do nothing and simply want pure pristine air to breathe… this is the place to be. This quaint 10 room property where you actually feel the silence and the marvelous orchestra of nature at its best. Many renowned poets and writers have spent time in the seclusion of these mountains and have created literary masterpieces. You could do that too staying at one of the mountain view rooms. One hour away is Soulitude by the River, with only 3 rooms. A day trip is recommended to experience and swim in the natural pristine clean water of the river. Cuisine is simple home style again from farm to table. Gagar is also a fruit bowl of these hills. Orchards of apples, apricots, pears, peaches, plums, walnuts and almonds are found and you could pluck them too. The nearest airport is Pantnangar, which has flights from Delhi on Wednesday, Friday, Saturday and Sunday. Best time: All the time. 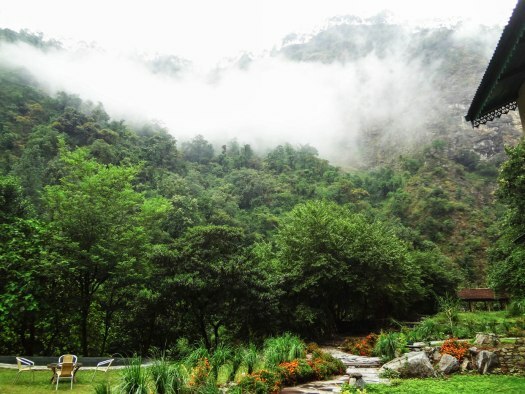 A little away from the popular hill station of Manali is ShivAdya. 15 luxurious rooms handcrafted out of stone and wood and taking care of the environment with optimum use natural resources. We had the most amazing time with Neelam and Ritesh supervising and providing utmost attention to detail. The fresh produce from the farm, apple orchards, long walks and many activities could be specially curated for your stay. Such is the dedication and passion of two of them. Best time: All the time. In winters it snows and only recommended if you are looking for some fun in the snow. 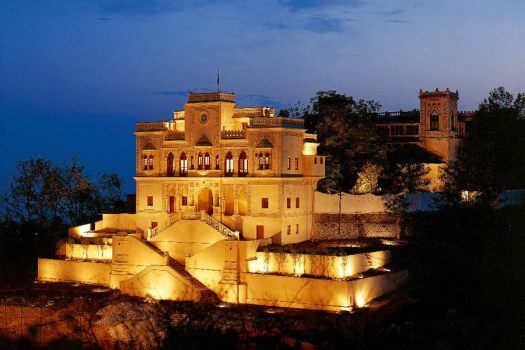 There are daily flights from Delhi to Bhuntar, which is about 1 hour away from ShivAdya. If its Darjeeling it has to be Glenburn. 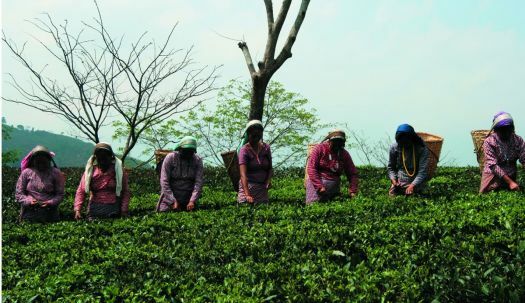 This pretty hill station is popular for its tea world over. Wouldn’t it be better to experience a stay in a plantation bungalow of one of the best tea estates in Darjeeling. Owned by the ‘Chaiwala Family’, literally meaning tea planters. The road along the river leads to this beautiful estate that is on the hillock with the mighty views of the Kanchenjunga. Absolutely stunning ambience in two cottages of 4 cozy luxurious rooms in each cottage. Wonderful meals makes your stay unforgettable. You could chose from many excursions they offer or simply unwind like I do. There are daily flights from Calcutta and Delhi to Bagdogra which is about 3.5 hours away. This is one of my favorite places in southern India. Munnar where we literally walk in the clouds. 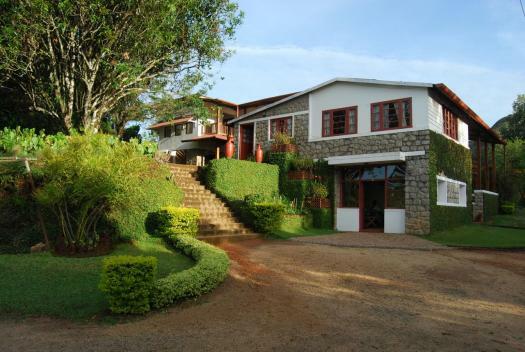 Windermere Estate has 18 beautiful hand-crafted rooms, this is a destination by itself, amidst beautiful tea plantations. They offer many activities like a wonderful plantation trek in and around the estate. Enjoy homemade delicacies and a drink with the hosts. This list is long and I shall update the Blog regularly adding the places when I visit them. Till then Happy reading!